With our DeliveryONE web based supply chain management platform now enabled to monitor DEF tanks our distributors have a ready made inventory management capability to offer their customers. Mansfield Oil Company, a leading independent supplier of refined fuels, ethanol, and diesel exhaust fluid nationwide, announced it has completed adding DEF tank monitoring to their supply chain management suite of web applications. The new capability under the leading Air1® DEF brand combines the opportunity to optimize supply logistics while ensuring reliable supply for bulk DEF customers. “We have been using both wired and wireless telemetry solutions combined with the most advanced inventory management solutions for fuels at thousands of sites for the past decade and we know the impact these solutions have on reducing costs and improving supply reliability for our customers, adding DEF to this proven platform is a natural evolution for us,” said Mansfield EVP and CIO, Doug Haugh. “Nearly half of our DeliveryONE distribution partners will be finished with the installation of their Air1® bulk storage, delivery, and packaging systems before year end and as they begin to supply bulk DEF they will have a growing need to monitor customer tanks so they can develop optimized routing for their new bulk DEF trucks. With our DeliveryONE web based supply chain management platform now enabled to monitor DEF tanks our distributors have a ready made inventory management capability to offer their customers,” stated Dave Michael, General Manager of the DeliveryONE DEF network. The DeliveryONE system can be used for both our Mansfield and Yara Air1® customers while also being easily customized and branded for each distributors use with their own local customers. “This is a great demonstration of the scale and efficiency we are proving is possible by having Mansfield, Yara, and our nearly 60 distributors use common solutions and technology to support such a rapidly growing business. In the past, each company would have had to develop their own solution, increasing costs and taking far more time to get such an advanced capability to market. By working together on common systems across our entire Air1® DEF supply chain we captured improved costs on everything from totes to tanks to dispensers, this just builds on that approach,” said Mr. Haugh. Ranked by Forbes as one of the largest private companies in America, Mansfield Oil defines the next generation of downstream energy company, delivering nationwide DEF supply and distribution in partnership with Yara and 60 local distributors. Founded in 1957, the company has enjoyed double-digit growth for three decades. 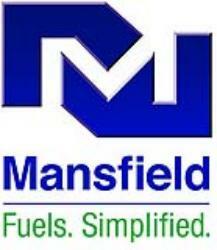 Mansfield Oil focuses on optimizing and controlling fuel-related costs with local service nationwide. Mansfield Oil is headquartered in Gainesville, Georgia, with offices in Denver, Detroit, Houston, Minneapolis, Charlottesville, Chicago, and Los Angeles. The DeliveryONE Network provides supply and distribution of Air1® DEF to customers nationwide from over 200 stocking warehouses. The network supports Air1® DEF sales and service with over 300 well trained local experts who can help customers specify and design DEF supply, storage, and dispensing solutions that provide the highest degree of quality assurance. In addition to DEF the DeliveryONE network provides customers consolidated mobile fueling and less than truck load fuel delivery services that reduce fuel costs while providing improved reporting and auditing to fuel consumers.